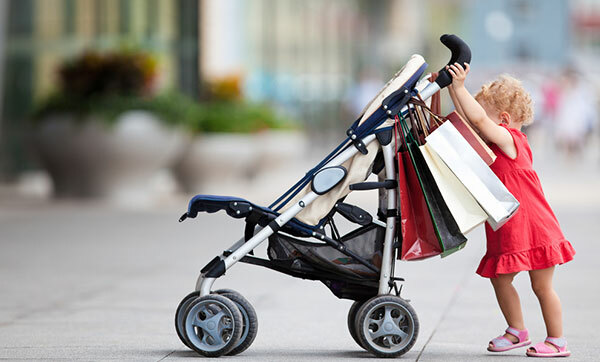 If you’re the lucky parent of multiples or if you have an infant and toddler in your household, walking them by yourself may sound next to impossible… unless you have a stroller made especially for more than one child. 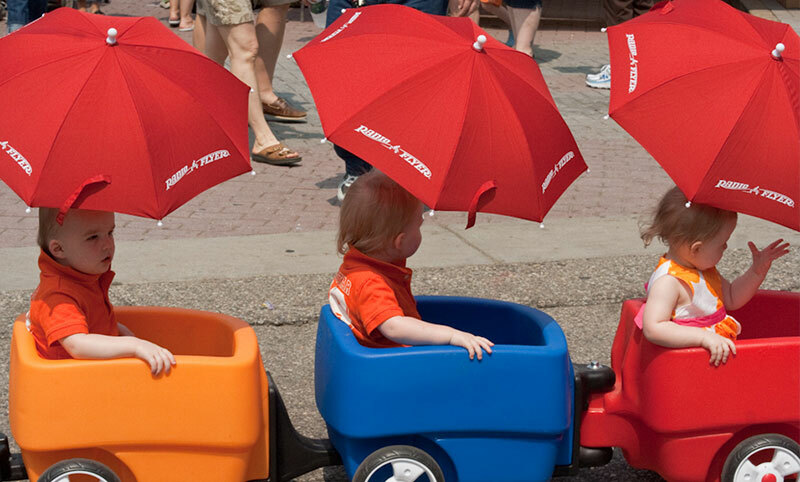 Tandem strollers offer the convenience of walking two (or three) children at the same time as comfortably as if you were walking just one. These strollers are also handy for carrying a child and groceries, once one child has outgrown it. They are available in a wide variety of fabrics and features. 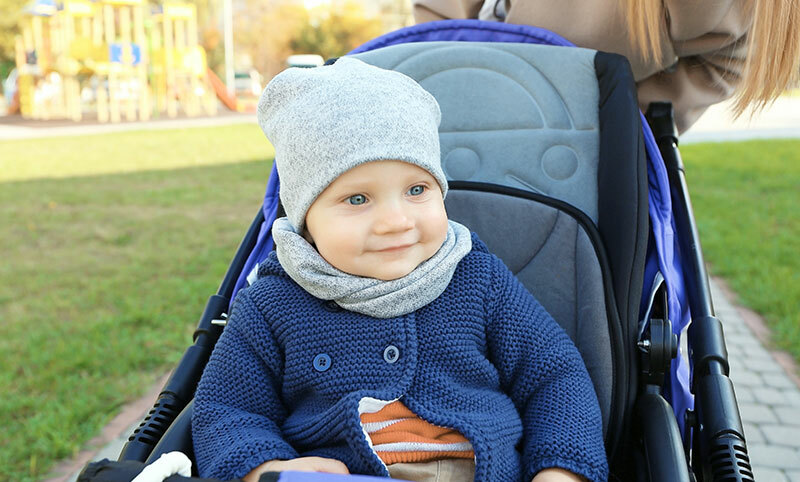 Double strollers are appropriate for newborns only when the full-reclining seat feature is available and can be used until your toddler is approximately 4 years old. Front-to-Back (Tandem) Style Front-to-back style: infants face forward, one in back of the other. These strollers fold easily and compactly for storage or travel. For maneuverability, this is a good choice; however, there is that “front seat” issue. Some models, however, do give the back seat a “boost” so that both babies can enjoy the view. The front-to-back style is best if you have an older child and a newborn. Features may include: a single canopy hood, separate canopies, individually reclining seats, rear wheel brakes, fully retractable rear seat for a sleeping infant, removable/washable pads, separate footrests, and restraining straps with safety buckle. Side-by-Side Style Infants sit next to each other. These strollers are lightweight and fold quickly and compactly. Most will fit through normal-size doorways, although due to their sheer width it can be difficult to maneuver this “minivan” of sorts through grocery stores, crowded events, or if your children vary greatly in size or weight. The side-by-side style is most commonly used by parents of twins (or two or more children of comparable weight). Features may include: European styling, thick padding, removable/washable pads, individually reclining seats, single shared canopy, storage basket, footrest, and restraining straps with safety buckle. A great choice to consider is the Baby Jogger City Select or the BOB Revolution SE Duallie Stroller – both have been rated very highly by parents. 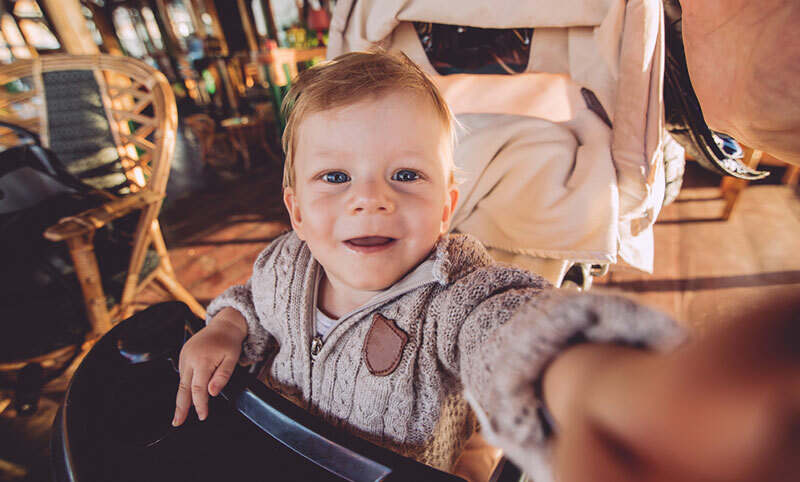 Age range: As with the single stroller, if the seats recline fully, the stroller is appropriate for a newborn. You can use it until your children are 3 to 4 years old.